Established by the provost in 1988 to promote collaboration among various faculty projects and funding applications, ISS was expected to be flexible and inexpensive, and to support new endeavors and ideas in the fields of international history and security studies. Kennedy, the J. Richardson Dilworth Professor of History, has served as director of ISS since 1989, and under his leadership, ISS has hosted a wide range of grants and initiatives. It initially operated grants from the MacArthur, Bradley, and Olin Foundations, and it housed U.N. Studies at Yale and, subsequently, the Academic Center for United Nations Studies. It administered the Red Army Secret Archives Project, and recently encouraged the return of ROTC to Yale, welcoming the Commandant’s Marine Corps Fellow. After Professor John Gaddis arrived at Yale, ISS launched the Grand Strategy (GS) Project in 2000, consisting of a year-long course and accompanying lecture series. GS has grown to become one of Yale’s flagship courses, thanks to the 2006 Brady-Johnson gift, and it continues to operate through ISS. Today, ISS hosts an array of extracurricular activities each year, including lectures, dinner debates, conferences, colloquia, and discussion groups. 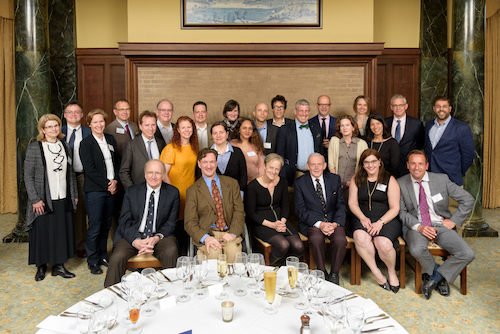 Its most recent initiative seeks to further the study of naval and maritime issues at Yale. ISS also continues to fund language training and archival research for Yale students, while its postdoctoral and predoctoral fellowships bring scholars from other universities to campus.